Every March, thousands of wellness companies descend upon Anaheim, California, to reveal the brand spankin’ new products they’ll be rolling out the rest of the year. 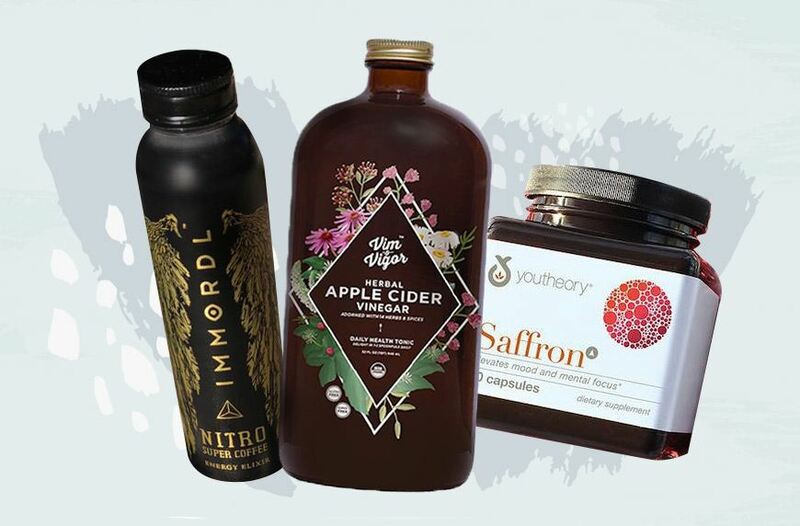 At ExpoWest 2018, wellness insiders—including a Well+Good contingent that included the company’s co-founders and me—got their very first look at foods and drinks that are about to hit grocery stores across the country. For four days, we sampled, sipped, and compared notes about what we were most excited about. This year was the biggest convention to date. More than 85,000 people attended the show, including 3,521 brands—600 of those exhibiting for the first time ever. As always, while walking from booth to booth (to booth, to booth, to booth), key trends started to emerge, reflecting how companies expect consumers to vote with their dollars. While some trends carry over from year to year (Spoiler alert: Turmeric and collagen aren’t going anywhere), it’s most exciting to see which new trends pop up. What would be this year’s adaptogenic mushrooms? Keep reading—and plan your grocery shopping accordingly. Scroll down for 6 healthy food and drink trends that are about to take over. Get ready to feel really good about what you’re putting in your body. Supplements, snacks, and drinks are being leveled up with mood-boosting herbs. This year, Gaia will be launching a new supplement, Mood Uplift, made with St. John’s wort, schisandra berry, ginkgo leaf, and rosemary. Schisandra berry—which is the only adaptogenic berry, BTW—is also a key ingredient in Rebbl‘s latest grab-and-go drink, a berries and cream flavor. Supplement brand Youtheory will be launching their own mood lifting supplement, with saffron as the key ingredient, claiming to increase happiness and mental focus. Whether you’re looking to transition off a prescription antidepressant or just need help getting over a rough patch, there will be more holistic options hitting shelves soon. Protein-enhanced waters are catching fire, too. One, aptly called Protein2O (as in H2O), is infused with whey. If sparkling water is more your vibe, you’ll soon be able to reach for a can of Zola Sparkling Energy Water, in four flavors. Made with yerba mate, green tea, and green coffee extracts, each can has as much caffeine as a-shot-and-a-half of espresso. The bar aisle is pretty crowded, but it’s still tricky to find just the right one. Now, brands are providing the tools to whip up your own, most of which are no-bake and can be done in about three minutes flat. Rxbar is releasing its first-ever nut butter—the perfect core ingredient for bliss balls. Creation Nation’s line of no-bake protein bar mixes now includes a new PB&J flavor with organic peanut protein. The Sarah Michelle Gellar-backed organic baking line Foodstirs is also coming out with a line of protein bar baking kits, in flavors like chocolate sea salt, blueberry bliss, and chocolate almond. Getting that post-workout protein has never been easier. Last year, healthy jerky was a big trend at Expo—and it was still represented well this year—but overall, plant-based eating dominated. Brands already killing it (metaphorically speaking) continue to expand their lines, while others not traditionally known for being vegan are reformulating to appeal to a wider range of eaters. Beyond Meat—which is already mega-popular with both plant- and meat-eaters—is expanding into the sausage category, rolling out three flavors later this year. Vegan cheese brand Daiya is coming out with a whopping 12 (!) new products, including heat-and-eat burritos, mozzarella sticks, a “meat”-lovers pizza, and ice-cream bars. The Jackfruit Company is also releasing a whole slew of microwaveable meals with added protein. On the beverage front, alternative milk brand Elmhurst Milked is continuing to milk everything it can, newly releasing a chocolate-peanut milk and a brown rice milk. (I tried it and it actually tasted good—who knew!) Somewhere, Michael “Eat food. Not too much. Mostly Plants” Pollan is jumping for joy. Companies are thinking outside the plastic bottle bubble and launching new products in more environmentally friendly packaging, namely either paper or cans. Brew Dr. Kombucha will be releasing canned kombucha this summer, which is much more cooler-friendly than the bottles. The first shelf-stable probiotic drink, Live Soda, is also launching in can form. But it’s not just kombucha: Be on the lookout for canned water and nitro cold brew, from Proud Source and Cuvée Coffee, respectively. Alkaline water brand Flow alkaline spring water, which already uses paper packaging, is expanding its line to include enhanced flavors—which amazingly have no lingering aftertaste. Gluten-free line The GFB turned to paper when designing the packaging for its new oatmeals, which pop open into its own little cup—no bowl needed. Your reusable grocery bag will soon be just as green inside as it is outside. Your trusty bottle of Bragg’s will soon no longer be the only way you can get your apple cider vinegar fix. From Republic of Tea‘s individually packaged ACV shots to bottles pretty enough to display from Vim & Vigor, it’s about to be everywhere. If you love the benefits but don’t like the taste, fear not: Ethan’s line of shots infuses the ACV with flavors like turmeric apple, ginger pineapple, and cinnamon maple so it goes down easy. Speaking of food trends, here’s what’s dominating at Whole Foods right now. More of a Trader Joe’s shopper? These are the healthiest items you can buy there, according to a dietitian.